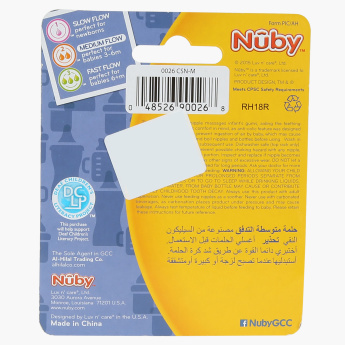 Nuby Anti-Colic Teats - Set of 2 | Multicolour | Anti-colic and orthodentic shape. Feed your baby comfortably with this BPA-free teat set. 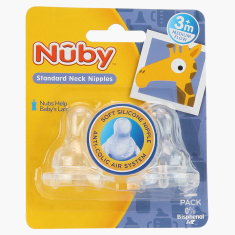 With an anti-colic system, this teat set prevents air ingestion by your baby during feeding. Made of good quality material, these teats are soft against your baby’s delicate gums. Feature 1 : Anti-colic and orthodentic shape. Feature 3 : Soft and durable. Feature 2 : Made of 100% Silicone.